Our final post in celebration of our five-year anniversary is the second half of five things we wish we’d know five years ago. This time it’s our five southern-based WRs to share their experiences. How much I’d enjoy using those accounts once I’d done them! How to go about self publishing – its quite a learning curve and I still haven’t even tackled paperback books!! How easy it is to get distracted by the internet, friends seeking coffee, outings to exciting places etc. How much I’d enjoy the whole thing – I’ve made some lovely new friends, learnt things like how to speak at literary events, learnt a lot about a new industry and thoroughly enjoyed the whole process!!! You can find Lynne’s Author Page on Amazon here. I’m afraid I can’t give 5 things I wish I’d known. Perhaps the only way I’d answer this is to say that I’ve realised it’s a continuous journey. There’s so much to learn along the way, publishing changes all the time, but the one constant is how much writers support one another. Which stops me from going insane at everything I still don’t know! You can find Helen’s Author Page on Amazon here. Friends and family don’t really understand how huge becoming a published is –for the writer. Being published is important, but friends and family are more so. Life is for living and sometimes it’s easy to let ‘the writing thing’ get in the way of spending time with – yes, friends and family. Keep a sense of humour – even when your Amazon rankings are dreadful, you’ve had a two star Amazon review and even your husband can’t be arsed to read your books – none of it is really that important in the grand scheme of things. You can find Jackie’s Author Page on Amazon here. I’ve learned so much, about writing, publishing, promotion, etc, as I’ve gone along, and as I reach this point I believe I’m a better writer, and, hopefully, wiser. However, I can’t think of anything I wish I had known at the beginning. What I’ve learned is based on experience and couldn’t have been picked up any other way. The highs and the lows have taken different forms from what I’d imagined, and it’s much harder work than I’d anticipated, but I wouldn’t have done anything differently. You can find Deirdre’s Author Page on Amazon here. She also writes as Zara Thorne, whose Author Page is here. 5. That writer’s bottom isn’t a myth… although perhaps I’m glad I didn’t know that! You can find Jo’s Author Page on Amazon here. Thank you so much for joining us for our series of posts following our five-year anniversary. We don’t blog as much as we used to which in some ways saddens me but then I remind myself that the reason we don’t blog so much is that we’ve all become published writers and simply don’t have the time to devote to the blog that we had when we first formed and were on the first rung of the ladder. We will continue to post about new releases and share the occasional post or interview, but most of us have our own blogs/websites to populate too. Some of us are retired and write whilst enjoying that, some have left work to be a full-time writer, some work part-time, and some balance this alongside a full-time role. And, for all of us, there are never enough hours in the day to achieve everything we want to. Thank you for any part you have played in our journey and we wish you all the best, wherever your reading and/or writing takes you in the future. There are ten of us. Five years ago, we had one indie-published novel between us. It’s hard to believe, but November is almost upon us, and winter is just around the corner. Shops are already filling up with Christmas goodies, and the dark nights are drawing in. Social media has been full of promotional posts for, and news of, forthcoming or newly-released Christmas books. Some might say (and some have) that it’s far too early for all that, but the truth is, whatever your opinion, festive books are on sale and they’re proving to be very popular. In a world that can sometimes seem harsh and uncaring, it can be a relief and a joy to settle down with a story set at the time of year when peace and goodwill to all men reign supreme. There’s something very cosy and comforting about Christmas books, and this year, the Write Romantics have a bumper crop on offer. You’ll be hearing more about that in future posts. 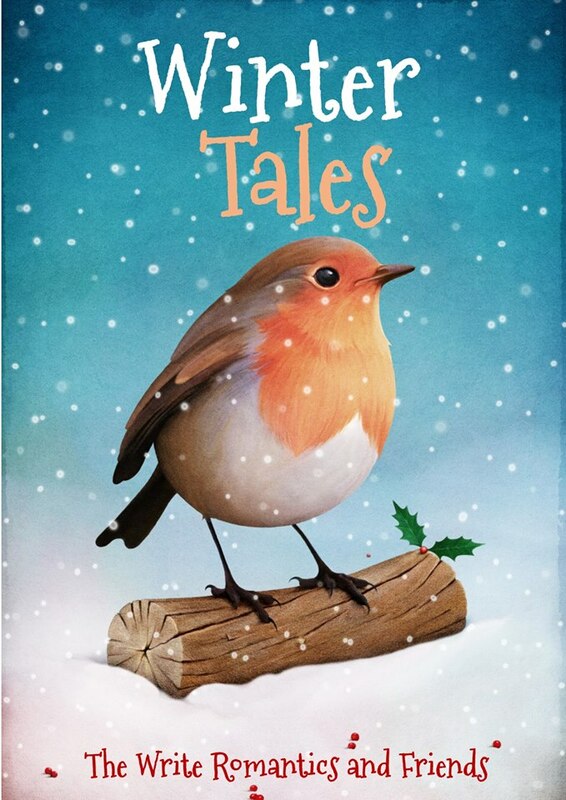 But first and foremost, the important news is that, as you can see by the picture above, we have given our anthology, Winter Tales, a fresh look, and we love the gorgeous new cover with the festive robin and the warm, cheerful colours. We released Winter Tales back in November 2014, gathering together stories from generous writing friends, who happily contributed their seasonal tales in aid of two great causes. 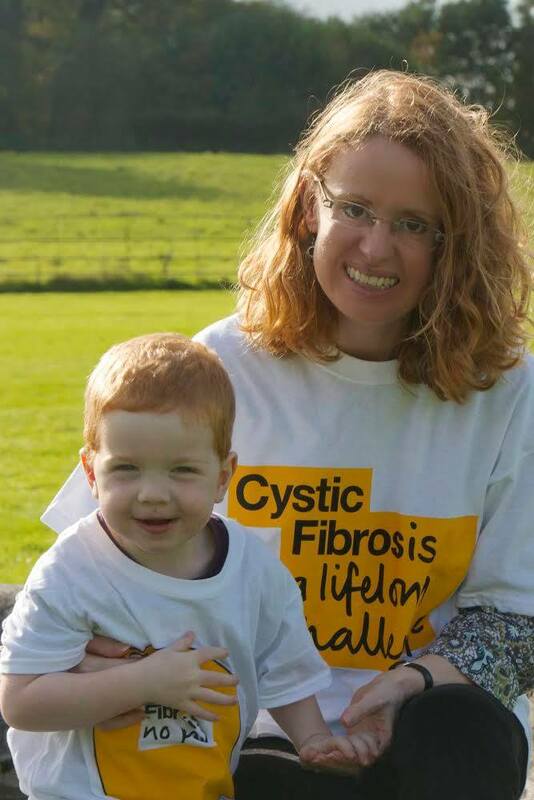 Winter Tales was put together for the benefit of The Cystic Fibrosis Trust and The Teenage Cancer Trust – two charities very close to our hearts. At the time, we were ten writers with only one publishing deal between us, and we knew we needed help from our friends! Luckily for us, the writing community is a big, helpful and friendly one, and before long we had contributions from plenty of lovely authors. We raised lots of money for our chosen charities, and we managed to garner some good reviews for the book. It’s now three years on (I know! Unbelievable!) and, with it being that time of year again, we’ve decided to give Winter Tales a new look and try our best to raise more money for the charities. The new cover has proved very popular, and we had a brilliant weekend of sales, earning our anthology a bestseller flag on Amazon for the very first time. But we need to keep this going, so, in the spirit of Christmas, we’re just giving anyone who hasn’t bought the book a gentle nudge. 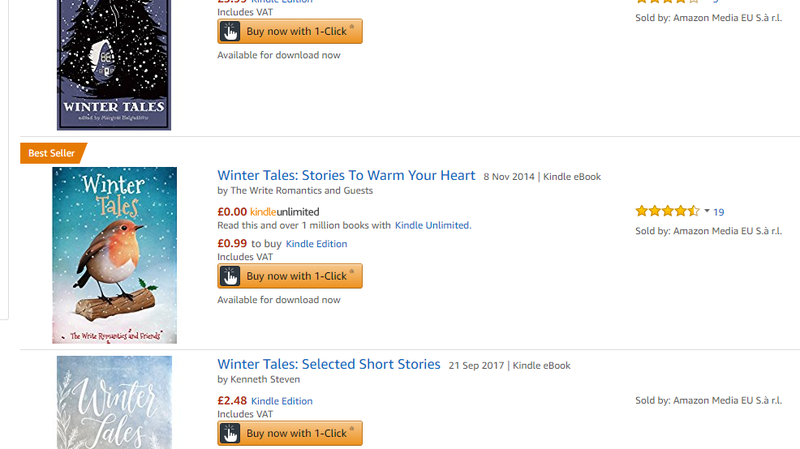 Winter Tales is just 99p at the moment, and here’s a list of all the stories you can find inside. So, you see, we have some really fabulous authors in there and some fantastic stories for your reading pleasure. We hope you’ll take a chance on this anthology and, if you enjoy it, why not leave a review, or spread the word to friends and family so that we can raise as much money as possible to help everyone affected by cystic fibrosis and cancer, who need and deserve our help. You can buy Winter Tales here. Happy New Year to all our readers/followers. We hope you’ve had a peaceful and enjoyable start to 2017. As the New Year is typically a time for setting resolutions or putting goals/plans in place, we decided to do a bit of a round-up of what 2017 is going to look like for the Write Romantics. Sounds like we’ve got a busy year ahead of us all! Here’s what the WRs have to say, in alphabetical order. My main writing goals for 2017 are to build on the unexpected success of 2016. Last year definitely had more writing high points than low points, even a broken promise turned out for the best and ‘A Holly Bay Christmas’ becoming an Amazon best-seller for over six weeks was a great way to end the year. In 2017, I’d like to have at least one more pocket novel, hopefully two, published by DC Thomson and Ulverscoft, as well as submitting more short fiction to the women’s magazine market. I’d also like to finish the next novel in the St Nicholas Bay series and have at least one new Christmas novella ready for release by November. In addition, there are a couple of writing competitions I’m determined to enter, one of which will motivate me to edit the middle grade fantasy novel I first drafted three years ago and which has waited quietly on my laptop to be revised and revived since then. Most of all, I want to enjoy writing in 2017 and remember to celebrate all the good stuff that happens and not worry too much about the inevitable bumps in the road. Find Jo’s author page on Amazon here. I’m definitely hoping to get more reading done this year. I’d like to try new authors and new genres, so I plan to watch less television to make the time. Writing wise, I’m hoping to submit again to People’s Friend, keeping everything crossed, as I would really love to have another pocket novel published. My previous pocket novel went on to be accepted by Ulverscroft and will be published in large print in April, so should start to appear in libraries after that, which is a long-held dream. I’m also planning a second Skimmerdale novel later this year, and two other novels which are just at the early planning stages at the moment. If I really make the effort I could release one by the summer and one at Christmas, but we’ll see. I may be a little bit optimistic there! Find Sharon’s author page on Amazon here. I am excited for 2017 as my romance, Air Guitar and Caviar, will finally see the light of day. I feel like it’s been a long haul of a book, but in reality, it’s been just over a year since I started a new version of it, for NaNoWriMo. I was thrilled when it was shortlisted in the Search for a Star competition by Choc Lit and even more thrilled that it has now found a home and has a fabulous cover, designed by the Brilliant Berni Stevens. My plans for 2017 are to speed up with the writing, have more confidence in what I write and not care too much about what other people think. One of the best things to have come out of being published with Fabrian Books is that I can finally forget about the query letter and the synopsis–one page, three pages, ten sodding pages, whatever – I had such a sense of satisfaction when I hit the ‘delete’ button on that load of old gubbins! I’m looking forward to having my fourth Crooked Cat book published on April 7th. It’s called Moonshine, and is the sequel to Dirty Weekend. Recently I’ve enjoyed the new experience of having stories published by The People’s Friend, so I’ll be trying more of those. I shall have some fun writing a Christmas novella for the appropriate time, and plan to write another full length novel too, but my ideas on that are extremely vague at present. I shall be doing a lot of reading in order to pin down my ideas, which will be lovely. Find Deirdre’s author page on Amazon here. I had a busy 2016 finishing and publishing one book, ‘Abandoned by my Mum’, a story about a young woman, and started work on two others. Usually I wouldn’t start another novel till I’ve finished the first, but these were so enticing that I couldn’t resist! I won’t say more, but 2017 will see me finish both of these and hopefully a third too. Find Lynne’s author page on Amazon here. Find Helen’s author page on Amazon here. For me, 2017 is all about a new and exciting journey as a self-published writer. At the back end of 2016, I made the decision to part company with my publisher. I’ve just had my trilogy and novella re-edited and am in the process of having it re-released with gorgeous new summery covers designed by my talented husband, Mark. There seemed little point in promoting them last year when there were so many fabulous wintry/Christmas books available so I’m looking forward to promoting them as we get into the spring. I’m currently halfway through writing my fourth full-length novel, Bear With Me, which I hope to release in the summer … but I’ve been halfway through it for about six months so summer may turn out to be a bit ambitious. I also have plans for a Christmas novella, a fifth book, and possibly another novella, although I have a feeling that it could become a full book instead from the work I’ve done on it already. I also suspect that we could be eeking into 2018 or even 2019 by the time this lot is ready as I still have a very demanding day job which often sees me working 12-14 hour days 7 days a week. I’m hoping to reduce my day job workload by the end of this month which should help with the writing plans. Find Jessica’s author page on Amazon here. Happy New Year to all our followers! It’s been a busy year for all ten of The Write Romantics and 2017 promises to be another year of great writing and reading. I’m planning to release another book in the spring and right now as well as editing book seven, I’m starting to plan book eight in my head. I’m not sure where my thoughts will take me but I look forward to sharing my ideas with you soon! As ever, my goals for writing this year are to write something each day so that I don’t end up racing to a deadline with lots of words to achieve. Another writing goal, is to take time out to refill the creative well. Find Rachael’s author page on Amazon here. I’ll be spending the first half of 2017 working on a new steampunk book, which is tentatively called ‘An Unsuitable Profession’. The early chapters will be part of my dissertation for my MA in Creative Writing which I’ll complete in August. I’m looking forward to getting stuck into the research and becoming obsessed with steam power, dirigibles and the size of women’s hats in 1901. After my MA is finished I plan to get back to working on Storm Witch, the follow up to Beltane. Find Alys’s author page on Amazon here. Anyone who loves romance – either writing it or reading it – will be familiar with tropes. These are the rhetorical devices that frame the story of how couples end of falling in love against the odds. But real life can be stranger than fiction and there are lots of true stories about the weird and wonderful ways that people end up finding their soul mate – everything from being reunited with the lost love they first held hands with at nursery school, to a lonely widow and widower being set up by their funeral director. It’s all out there! 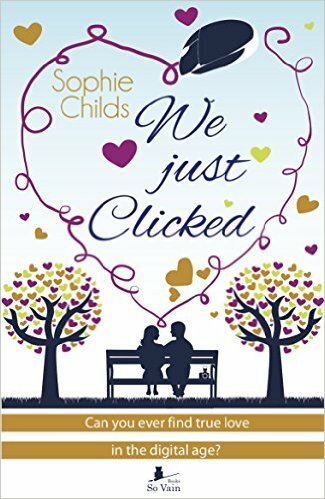 So to celebrate friend of the blog, Sophie Childs, fabulous new novel, We Just Clicked, the Write Romantics had a little chat about our own unusual love stories. Sometimes it feels like my husband, Steve, and I have been together forever… However, I guess you could call our meeting unusual, as we met when I was on a night out with my friends. 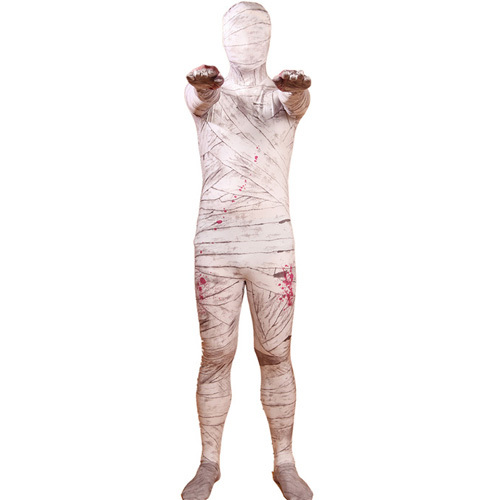 It was fancy dress and I was dressed as if I’d been in an accident, on crutches, and covered head to foot with bandages and fake blood. Not exactly the stuff of romantic novels, I suppose, but it worked for us! I met my husband, Andy, speed dating at a Christian hippy festival… there’s definitely a novel in there somewhere! But the best true story I ever read was in the ‘Letters from an Extreme Pilgrim’ book by the vicar, Peter Owen Jones. In the book Peter and a friend were working in an advertising agency and he was in a lift and met a young woman he liked. He was spoken for himself, but knew this person was just right for his friend. He came back and told his friend ‘I’ve just met the woman you’re going to marry!’ and he did! I met my husband, Mark, online. He’d been online dating on and off for a couple of years but I’d just put my profile on having moved to a new area where I didn’t know anyone and having opened a teddy bear shop where any male customers were likely to be buying for their girlfriend/wife/kids. I registered on the Sunday, Mark contacted me on the Monday, and we met on the Wednesday. Inspired by my success, my older brother, Mike, registered on the same dating site and met his wife, Sue. What’s spooky about their story is that they’d actually met when they were young kids. My parents didn’t know Sue’s parents, but they had a mutual friend and were both at the mutual friend’s daughter’s birthday when she was about 4 or 5. There’s photographic evidence! This inspired part of the story in Searching for Steven, which those of you who have read it will definitely recognise. My mum also knew she was going to marry my dad after their first date, and went home and told her dad that. She’d actually seen him on TV. He’d been a contestant on the gameshow ‘Double Your Money’ in the 60s and my mum remembered this lad on there from Bishop Auckland, then she met him at work and recognised him from that! As for me? 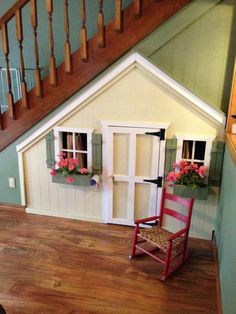 The first time I met my husband, he’d just had back surgery and he asked me to crawl into his under-stairs cupboard and get him some essential household items he couldn’t access. No wonder I’m a romance writer, when real life is like that… Still, it could have been worse, I could still be locked in there and, if I’d read any of Helen Phifer’s books at that stage in my life, I’d never have gone in, in the first place! If you enjoyed reading about how some of us found love, we think you’ll love Sophie’s book. We Just Clicked tells the story of how Erin finds love, despite serious doubts that these things ever happen in real life. Erin’s life isn’t what you’d call glamorous. She works in admin, has a crotchety boss whose morning coffee she has to fetch, as well as a mother who thinks nothing of breaking the law or the mother/daughter code of acceptable levels of embarrassment. There are good things in Erin’s life, too, like best friend Bex, and most of all her hot fiancé Ty. But just when she should be finalising wedding plans, Ty announces some big plans of his own which are set to change Erin’s life forever. A newly single Erin, encouraged by Bex and hoping to avoid her mum’s matchmaking attempts, dives right into the world of online dating. Can you find your Prince Charming at the first click? Well, maybe some lucky people do, but not our Erin! Instead she takes the reader with her on a roller coaster ride of dodgy first dates until it seems she might finally have found her Mr Right. We laughed with Erin and felt her pain, not just when she was unlucky in love but also when she received some unexpected news about someone she loved, but had taken for granted, which most of us can empathise with. Of course the path of true love didn’t run smooth – this is a romance novel after all – but in the end Erin and the reader get the ending they deserve. Laughter, tears and a big fat dollop of romance… What more could any girl want? We Just Clicked is available from Amazon for just 99p for this week only. We’d love to hear your stories of falling in love in unusual ways and, in the meantime, happy reading. 1st April is a special day for the Write Romantics. It’s our 3rd birthday! When Jo Bartlett and I ‘met’ virtually through the Romantic Novelists’ Association and came up with the idea of blogging together, we were two unpublished writers who weren’t even ready to submit our manuscripts. We realised quite quickly that we were going to struggle to post regularly about our ‘not quite ready to explore being published’ status, so we invited a few more RNA members to join in. The Write Romantics grew from two to ten, dipped down to nine for a while, then went back up to ten again. One of the fascinating aspects of this group of female writers (other than the fact that we have never all been in the same place at the same time (except virtually) and therefore haven’t all physically met yet), is that we were nearly all aspiring writers when we joined forces. Only one of the group had a publishing deal. Move forward three years and it’s a very different picture. We thought this would be the perfect opportunity for the Write Romantics to tell you about their last three years. Three years ago, I was unpublished and dreaming of one day walking into a bookshop and seeing my name on the cover of a novel on sale there. I’d just finished my debut novel and was sending it out to publishers… Fast forward three years and my novel, Among a Thousand Stars, has now been out for nine months with So Vain Books and I have my coveted paperback! I’ve also had two pocket novels published by DC Thomson, so I got to see my name on a book in WHSmiths on several occasions. Both novels were picked up by Ulverscroft, a third pocket novel has just gone in to DC Thomson and I have also had a short story published with them in The People’s Friend. In the second half of last year, I signed a women’s fiction four book deal with Accent Press, the first two books will be coming out in 2016 and the second two next year. In October, I finished second in the WHSmiths/Kobo/Harlequin romance writing competition and I am currently working with an editor at the world’s most famous romance publishing house on something that will be a significant departure for me and hence is being written under another name. Most of this has happened in the past twelve months and I definitely don’t appreciate how far I’ve come in three years for the vast majority of the time. Seeing it all written down like this makes a big difference though and, for once, I feel like there’s something to celebrate. The WRs birthday is the perfect excuse! Gosh! Three years ago I wasn’t part of the Write Romantics. In fact, I hadn’t heard of them (sorry!) I started writing my first full-length novel in November of that year, for NaNoWriMo. I met Jessica and Alys in June of 2014, having connected with Alys on Romna, as we were members of the Romantic Novelists’ Association New Writers’ Scheme. I had a half-baked, patchwork story called Angel in the Marble, and was convinced it was rubbish. Jessica and Alys persuaded me to work on it and submit it to the RNA. I did, and got very positive and encouraging feedback. That September, I was invited to join the Write Romantics (yay!) and in November, we released a charity anthology, Winter Tales, which included my short story, The Other Side of Christmas. I got Angel in the Marble edited and proofread, changed its name to There Must Be An Angel, and it was published in March 2015. 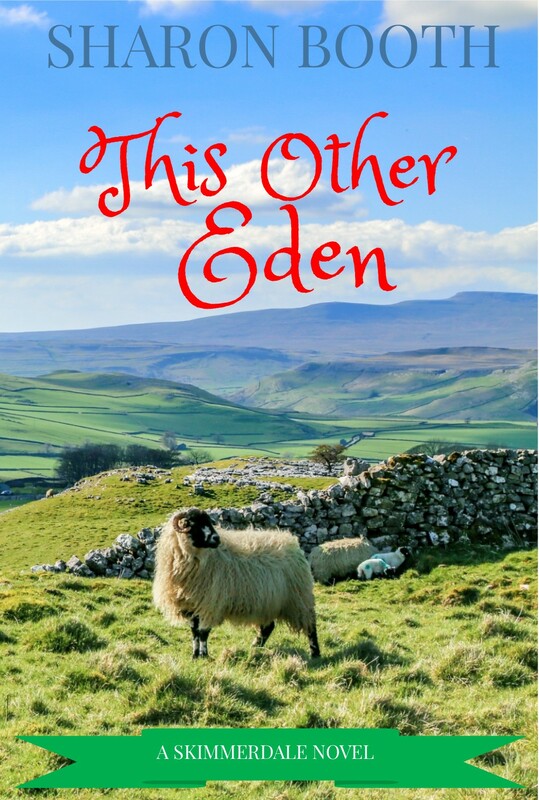 Now I’m on the brink of publishing my third full-length novel, This Other Eden, having also had a pocket novel published by DC Thomson, and another short story in print, this time for The People’s Friend. Things really started to happen for me when I met the Write Romantics, so I’m very grateful to be part of this lovely group. In April 2013 I was faffing around with at least three half written books on the go. I now have three fully written books and am still faffing around! Have decided to pitch three novels as airline series and am finally getting my act together with A Plan! (I think!) Was shortlisted for a Mills and Boon first chapter competition and that complete novel is now part of The Plan. Am considering self-publishing another novel, but thinking about it makes me want to have a lie down, or take to the bottle. Could do that in reverse order I suppose! Three years ago I’d been offered my first two book contract with Carina and I was busy working on the rewrites for my debut novel The Ghost House. Which was to be published in October. Now I’m in the middle of writing my sixth Annie Graham novel. Book five The Girls in the Woods was published in January and I have a paperback of The Ghost House on my shelf, plus I have a standalone horror story that will be published by Carina in September and Annie book six will be published around December 2016. I’m in the process of something very exciting for next year which will take me in a whole different direction as I’m working on a brand new crime series. Which I’ll share with you once it’s all finalised. All in all, I’m one very busy, extremely happy writer. Three years ago, I was getting ready to send my second attempt at a novel to the RNA NWS. As I was living in Australia this was always interesting at a cost of more than a hundred dollars plus an anxious wait to find out whether it had arrived in the UK safely. But it was so worth it! ‪Three years on and that novel, The Friendship Tree, was the first of three I have had published. I went on to indie publish Handle Me with Care and What Rosie Found Next and I have another two novels already in the pipeline. ‪It’s been an interesting and busy time but a lot of fun. I’ve learnt so much about writing and the publishing industry and I’m hoping the next three years bring just as much success for all The Write Romantics! In April 2013 I had just had my latest rejection and as usual was gutted. After the customary sulk, I began work on my next book, which I submitted to Harlequin’s So You Think You Can Write competition in September 2013. That book made it to the Top 10 at the end of the year and Christmas 2013 saw me working on revisions which I submitted early in 2014 and within two weeks, I got ‘the call’. My debut, A Deal Before the Altar was published by Harlequin Mills and Boon in October 2014. Now three years on from the launch of The Write Romantics blog my sixth book, The Sheikh’s Last Mistress is about to be released. What is even more special, is that this book is a rewrite of the one rejected in April 2013, which just goes to show, nothing you write is ever wasted. Happy Birthday everyone! Three years ago, I was working on the first book of an urban fantasy trilogy, Beltane. My dream was to secure an agent and I was thrilled in summer 2014 to be invited to London to meet an agent who wanted to represent me! Since then, Beltane has been published and I’ve been working on the rest of the series. I’ve also discovered a new passion for steampunk and wrote a story called The Dirigible King’s Daughter which I released on Wattpad. It’s been fascinating reading feedback from those who’ve followed the release of each chapter. The Dirigible King’s Daughter will be available on Amazon in the early summer. My novel writing is taking a bit of a back seat at the moment because I’m studying towards a Masters in Creative Writing, but I’ll be back to it very soon. Ever wondered what WordPress can do other than blogging? Remember when websites were only for those who could afford them and having a website of your own wasn’t really feasible for ordinary folk? And then came WordPress. What happened was a clever techie chap decided he’d create some software, which could build a website for people without specialist skills or loads of money. So he made a site and some pages that people could use, so they could change the photos and text of his original to make it their own, and thus create their own free website. The design he created was called a template, and the whole programme he named WordPress. The scheme really took off. Now there are well over 2,700 free templates, and many more available at a variety of costs if you want to splash out. What’s more, he made it open source, so there is no copyright, no-one owns it and its free to use and always will be. Open source also means anyone can add bits of code to personalise their own version, though capable people update the whole thing. Many people do make it their own, because talented developers add bits of programme that we can choose to use or not, like mailing lists and special effects. It looks good on their developer’s CV, so its a win win situation. WordPress is a big hit; anyone can now have a website that they can make exactly their way, for a minimal price. Now its reckoned that around 25% of websites are powered by WordPress – its not just people on a budget, even the Rolling Stones use WordPress. So what are the options if you’re thinking of setting up a site? There are now two different sorts of WordPress – wordpress.com and wordpress.org – and there is a difference in how they are managed, and the costs involved. Firstly, you need somewhere to keep your website so people can see it. Your own computer isn’t set up to do it, so you need a space on someone else’s specialist computer. This is known as hosting. WordPress.com does this and is free for a few pages, but there are drawbacks. Only a few pages are free, you might have to have adverts on your site, you have to choose one of their themes, and if they don’t like your site they just take it down. There are restrictions on all sorts of things and if you want to change things you have to pay. I suppose they’ve got to make their money somehow. Its around £80 a year as at 2015, more for your own name. There is, to my mind a much better deal. WordPress.org runs in a very different way. The software is totally free but again you must have somewhere to put it that isn’t your own computer, hosting. A Google search will give you any number of companies. In my experience those that come at the top of the list are expensive. I wanted a cheap price, lots of space, UK helpline, short waiting times to be answered, and knowledgeable service. I didn’t want much, eh? I got all that, plus room for loads of pages bulging with photos, videos, a shop and all sorts. I got that from TSO host. I knew nothing when I went to them and they talked me through the whole lot and downloaded WordPress to my own site. I bought my domain name through them (easier than trying to match up a site name with the pages elsewhere. That was around £10, the hosting is £2.99 a month (in 2015), and that was all I needed to get started. At first I had to watch a lot of videos to see how it worked, and they’re all free too. But now I’m pretty good at zipping around it, and if I fancy changing the colour or something, I can do that with the press of a few buttons. There are extra bits of software you can use to tag on features; they’re called widgets and plugins. You look for what you want via the management pages of your website. Say you want an emailing list, find a plugin that does what you want, read the reviews just to check if it’s okay or not, click a few boxes and, hey presto, its added a bit of code for you and job done. I love the freedom its given me. Of course there is a drawback. As WordPress is developed by so many people, there isn’t one central person you can go to for support, though lots of people will know a lot. Each plugin or widget will have a developer you can approach for help, but mostly you go to one of the dedicated message boards and ask on there. Its not as scary as it sounds, and pretty soon you’ll be answering questions yourself. And you know what else I like? The language. There are all sorts of zany terms for humdrum items. For example there is one button which you click and then a whole load of other menus come up and you’ll never guess what its called. Because it contains so many useful functions its called the kitchen sink! 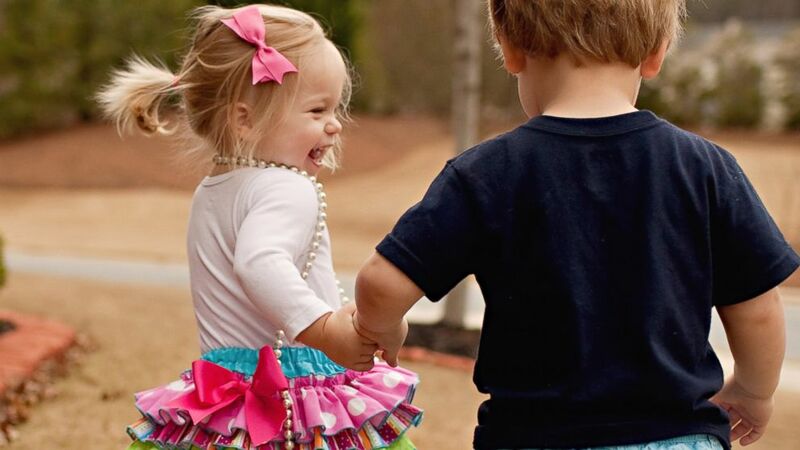 Isn’t that sweet? Its the only kitchen sink I can happily use without getting an attack of the heebie jeebies! Nine times out of ten when people mention classic women’s books they mean Jane Austen, or one of the Bronte sisters. It’s the same with art, there’s really only a few top of the top artists who ever get a mention in any sort of media, Picasso, Monet, Holbein. But there’s so much more to the world than somebody else’s limited perception, to dive into the world of the lesser known mortal is like a foray into the wilderness, to enter a world that is completely unknown. I used to love hunting in secondhand bookshops but not long ago and thanks to my mother in law, I discovered a little treasure. Thankfully I’m not the only one who has spotted the treasures of the out of print book. In 1998 a woman called Nicola Beauman began a little business printing a few out of print books every year from a basement in Clerkenwell. I don’t think she could have predicted the success she has had. 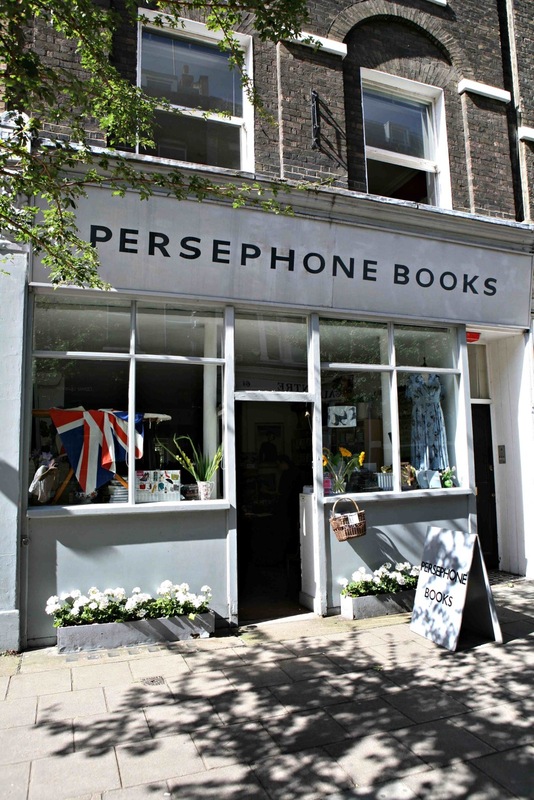 Named after the goddess of female creativity, Persephone books long since moved out of its basement beginnings into a beautiful little shop in Bloomsbury. All of their books are cloaked in grey, (not fifty shades, just one pale shade) but inside is each is a copy of some beautiful fabric and a matching bookmark. The whole shop and website are a treat for the eyes and there’s even a beautiful free newsletter produced twice a year which is a delight in itself. I guess all of us authors have to face that one day, we’ll be long gone and so will our books, but I only hope mine end up at Persephone, its a lovely way to be remembered!